In 2008, he erupted on the scene with a burst of color, inimitable eye for shapes, a distinct approach to style, and an unparalleled presence. One would suppose this is the crescendo of the narrative, but every story has a beginning, and this perhaps is his. For those reading, you should know something bold and eye-catching is happening. When? Or how? – Well, all of those details are still appealing mysteries. Why? However, is a question to be answered with much certainty – because Mr. Andre Rowe is already a fashion visionary at the age of 25. 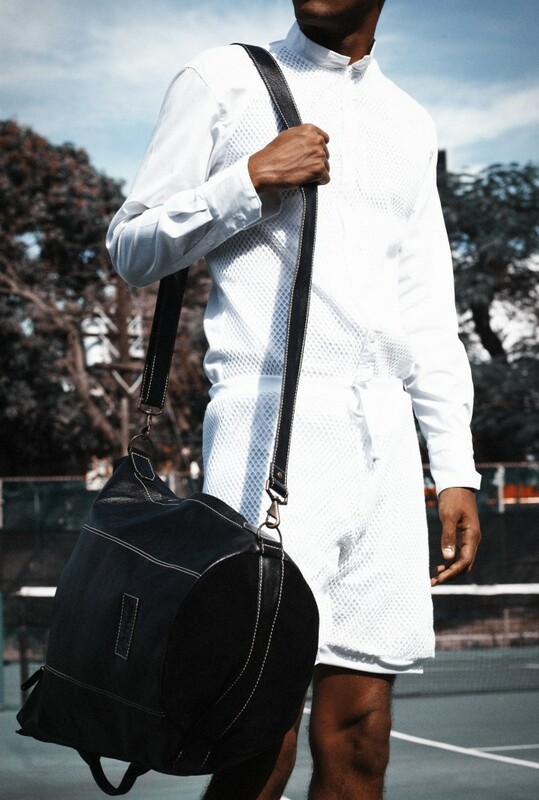 Unable to fund a fashion education in the United States, he chose to pursue a degree in Food and Beverage Management at the University of Technology, Jamaica. Though he made the educational decision to focus on what he describes as his second love, he was relentless in his pursuit of his first love. He explains, “It has been a lifelong dream of mine to be a fashion designer.” Born in the 90s, Rowe has always been intrigued by pop culture and has long anticipated the shift from admiring other designers in magazines to the day when his own designs would be in high demand. 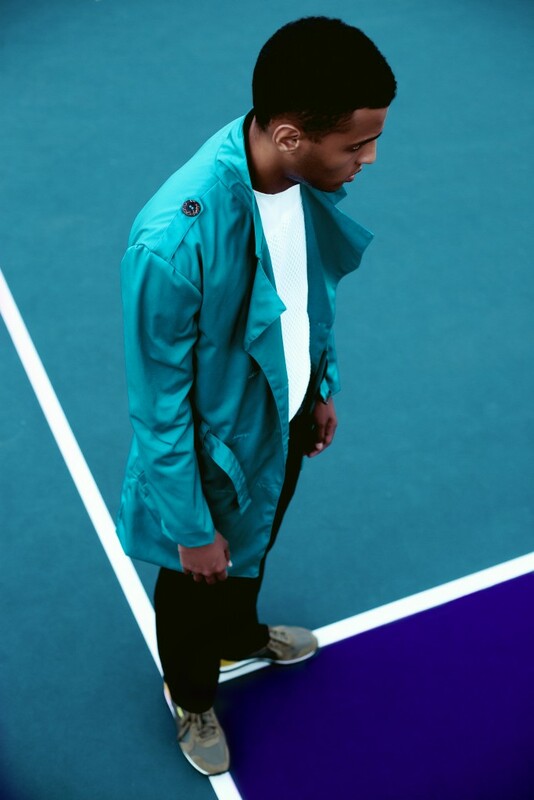 Supermodel Dominic Hudson in pool green Soldanza trench coat with white cotton mesh tunic and black Parisian twill pants. 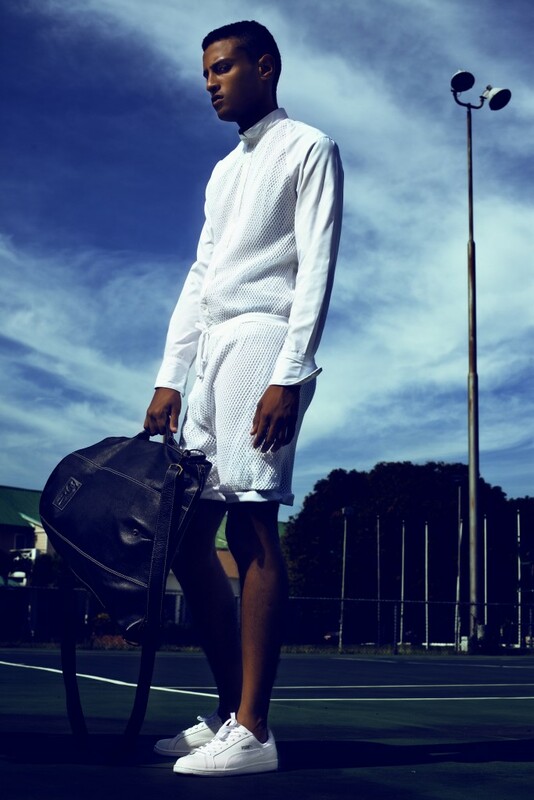 White cotton mesh raglon long sleeved shirt with white drawstring summer shorts. White trench with Soldanza inspired paint splatter details with black and white super fine cotton tunic and yellow cotton twill jumper shorts. 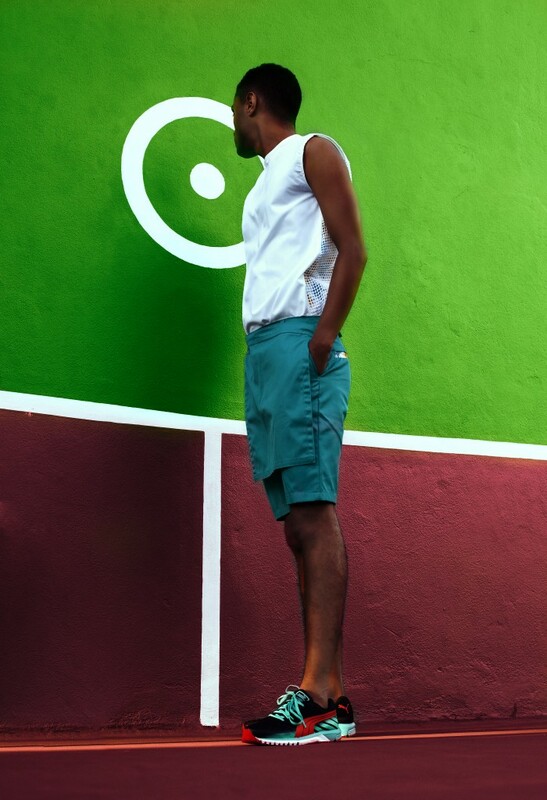 Supermodel Dominic Hudson in white Soldanza inspired cotton tunic with pool blue jumper inspired shorts. Supermodel Dominic Hudson wearing a red and white superfine cotton shirt and biker style shorts with side buckle. Supermodel Tajae Smith in black superfine cotton shirt and twill summer boy shorts with paint splatter detail inspired by Soldanza. Supermodel Tajae Smith wearing a red and white tunic with red twill capri. On his quest to transform fashion in the Caribbean, Rowe entered and won the 2013 Avant Garde Designer of the Year competition – the longest running design competition in the English Caribbean. “Winning the Avant Garde Designer award was actually quite surprising for me, because [when] entering a competition, there is that one percent doubt, and at that time I saw so many great pieces, and I was wondering: “is mine going to be the one? Is it going to be good enough?” The expression of the term – hard work pays off – I guess that was the end result of that show because it took me three weeks to get that dress done. I went through at least 10 sketches, before I arrived at that one look.